Two female pensioners were the victims of bogus callers on Friday (October 23), less than half an hour apart. 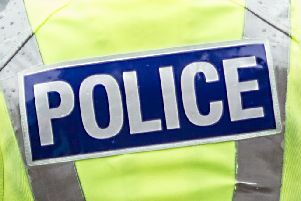 A man claiming to work for the local authority gained entry to a house in Pickerstonhill, Newarthill, around noon and after distracting the 81-year-old resident stole a small sum of cash from a purse. The suspect is described as being aged 37–39, 5’5” tall, of stocky build, with black coloured collar length hair and wearing a dark jacket and trousers. Then between noon and 12.30pm an 85-year-old resident of Burnside Court in Motherwell was targeted. After conning his way into the woman’s home, the suspect stole various items of jewellery and a three-figure sum of cash. He is described as being white, aged 40–50 years, 5’8” tall, of slim build, with black coloured hair, clean shaven and wearing dark blue overalls. Superintendent Louise Skelton: “The people who carry this type of crime out can be very persuasive and are able to quickly gain the confidence of their victims who become convinced by their lies. “Victims may be embarrassed to come forward to police and report an incident, however, I would encourage them to come forward. If you have any information in relation to these incidents or know who may be responsible call direct on telephone number 101 or CrimeStoppers in confidence on 0800 555 111.